Getting a multitrack recording mixer (a mixing board that can also function as a multi-track recording interface) can save you space, money, and the hassle of wiring two pieces of equipment. While this is an advantage in any application, it can be especially useful for live multi-track recording, drastically cutting down on your set-up time before each gig. 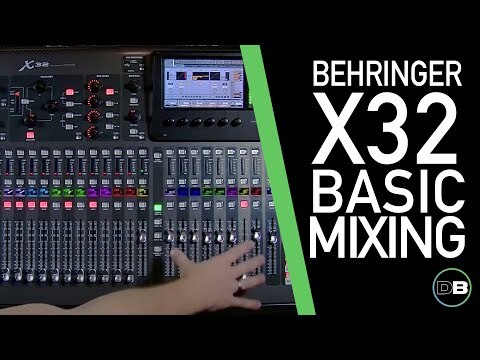 Let’s just kick things off with our “money is no object” option: the Behringer X32. This mixer is the answer for all your multitrack recording needs. 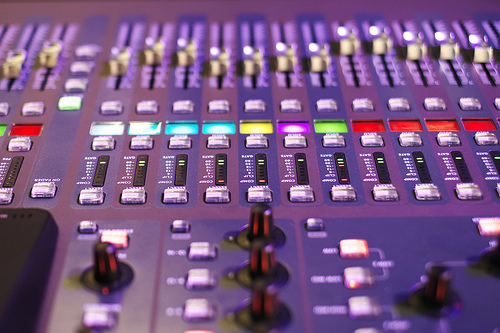 It is a 40-channel, 25-bus mixing console with a full array of automated faders. There are Midas preamps on the microphone inputs, and it maintains the same high sound quality regardless of the source of your signal. In addition to all of this, you’ll even get over 50 effects built right in, which can be applied to any of the channels for further shaping and customization of your tone. The interface of the X32 is probably at least a little bit intimidating if you’re not used to recording technology. This is a big piece of equipment, but once you start getting used to its operation you’ll see that the layout is intuitive and it’s not nearly as tricky to use as you might think just to look at it. The TFT display has a higher contrast than typical LCD displays, meaning you can still read it no matter what lighting conditions you’re in. Indoors or outdoors, for any live or studio application, the X32 is the cream of the crop when it comes to the best multitrack recording mixers. Not everyone has the budget for a multithousand-dollar mixer—or even needs that many channels. 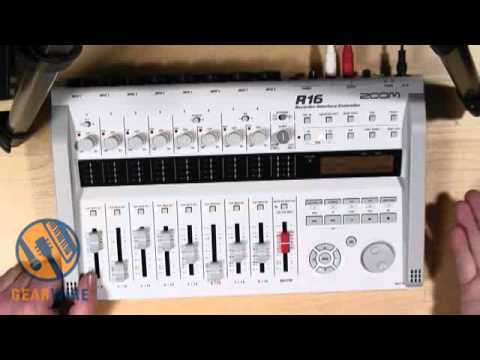 If you want to do multitrack recording on a slightly smaller scale, consider the Zoom R16. It’s the ideal size for small ensembles, small recording studios, and other places where you need powerful functionality in a more compact (and more affordable) package. The Zoom R16 is a multi-functional device. Not only is it a mixer and a multitrack recorder, it can also serve as an interface or controller for your digital mixing and editing. 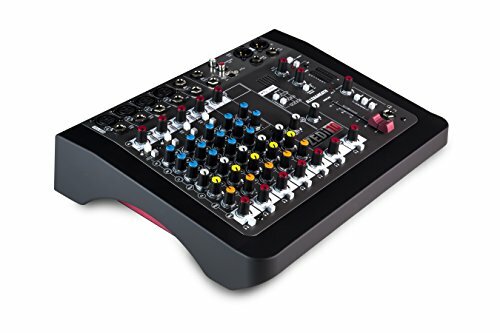 It has eight inputs, which it can use to record up to eight simultaneous independent tracks. It also comes with a microphone and the cables you’ll need to hook them up, making it an even better value. Maybe most impressive of all, it’s portable as well as compact. You can run it on AC power, on bus power through the USB input, or on the battery, which can get up to five hours of consistent recording. If you want professional functionality at a more accessible price point, the Zoom R16 is an excellent option. Next, we have the AR series from PreSonus, a line of hybrid recording mixers that are equally useful for live sound or studio recording. The AR12 is our top choice as an installed recording mixer in a venue that wants to offer live recording, since it’s such a versatile piece of equipment, capable of handling a variety of situations and ensemble sizes. The inputs on the AR12 are divided into 12 line, 8 mic, and 1 for instruments. Each channel has a full array of controls, including a fader for the level and knobs for pan and EQ. It records through USB using a 24-bit interface for signal integrity. The AR12 is a bit more on the analog side of things than some of the options above, and might take more time to learn for inexperienced users. Once you get the hang of it, though, it’s an ideal dual-purpose mixer. Allen & Health is another big name in the recording studio world, known for their quality and reliability. 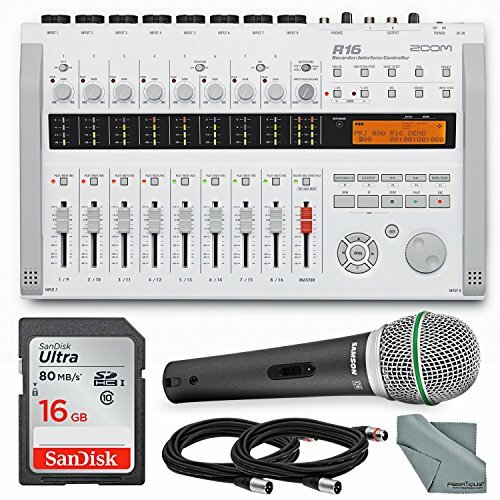 This home recording bundle is a unique option from what is best-known as the go-to brand for many professional sound engineers. The mixer definitely lives up to the brand’s reputation. The ZEDi-10 is a compact mixer with two stereo inputs and four mic/line inputs—basically what you need to do full justice to a rock band, jazz combo, or other similarly sized ensemble. The channels are independent, with their own EQ and faders, along with 3 band EQ to help shape your signal even more. This is definitely an attractive choice for the aspiring home recording engineer, or a band that wants to make their own professional-sounding albums. It’s high-end enough to give you a polished, finished final recording, but won’t be too big of an investment. It’s one of the best multitrack recording mixers for the money. So What’s the Best Multitrack Recording Mixer? Whether you work with digital or analog signals, a physical mixing board is an integral component of most recording studios. It gives you tactile control over your mix that you just can’t get from even the most sophisticated virtual DAWs. With that in mind . . . 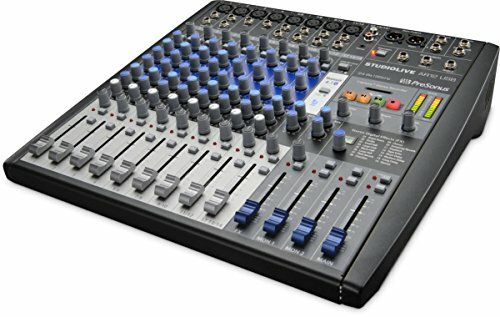 If money is no object we’re buying the Behringer X3 (see full specs), especially if the mixer is going into a recording studio. It’s definitely the largest and most feature-rich of the models on this list. Whether that’s a pro or con really depends on how you plan to use your mixer, however. 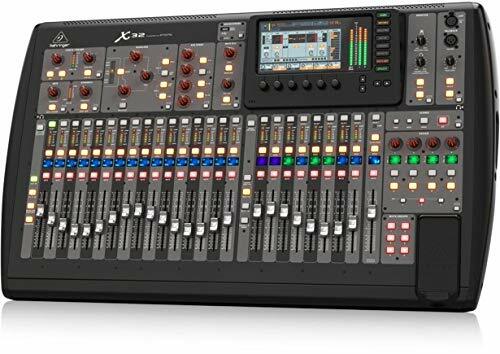 All four of the mixers reviewed above will give you high-quality multitrack recording and mixing all in one convenient console, and some of the lower-priced options, like the Zoom R16 (see full specs) may actually be better for mixed use environments where you’ll be doing both recording and live mixing. 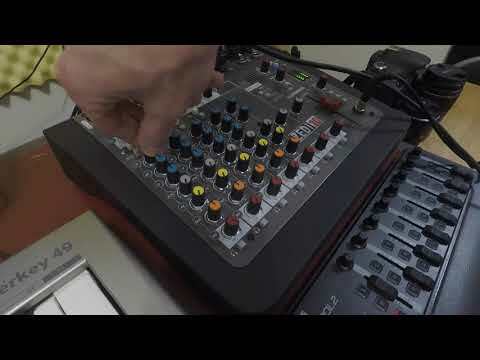 Considering both your budget and your space will help you figure out which mixer is the ideal puzzle piece to complete your multitrack recording setup. Good luck!